When you approached your ball on the green, it wasn’t even a question if you were going to sink the putt or not; the beautiful sound of the ball hitting the bottom of the cup filling the air. And then… there are the other days. We try and forget these rounds. We all know the feeling of timidly walking up to a ball, almost scared to take our swing with 6 expensive brand name balls already resting in watery graves. The mental aspect to the game of golf can be one of the most rewarding and infuriating components to the sport. So what is the difference between the amazing days and the days that make us want to wrap our 5 irons around the nearest tree? Is it what you had for breakfast? Is it your lucky golf hat? Did you not spend enough time stretching? Gear, strength, and nutrition can all be important aspects that affect your score but the single most important factor you need to develop and pay attention to is your mental state. Just like any other sport, if you want to develop a specific skill, you need to learn the foundational pillars, then practice them over and over again. The Shuswap National Team has collected 4 mental tools for you to incorporate into your game this season. Just like your biceps or hamstrings, you can develop and strengthen your mind like any other muscle in your body. For a moment, consider how you might increase the amount of weight you can bench press. You select a weight that is difficult to lift, then you push yourself until you can’t lift it anymore. The next time you attempt the bench press excise, you likely will be able to lift a little more weight than the previous time. Mental fortitude is not something that you can develop overnight. This is a skill set that you have to develop over many years but by realizing it’s potential, you can improve your next game just by being aware of the internal struggles your mind is dealing with. In his prime, Tiger Woods was the industry’s example of mental fortitude. He had continually put himself under intense pressure for countless years, and not just in professional setting tournaments either. Even during his daily practice rounds, he would treat every shot like a championship swing, so when the time came, he could calmly approached his ball with the confidence to place a winning shot. How to improve: The best way to become stronger mentally is to push yourself when you feel like underperforming or quiting. Even if you stick with it for a minute longer than you normally would, you are building your strength. Another recommendation is to treat every shot like the most important shot of your life. Every shot is for the win. Every shot matters. Don’t mindlessly tap in the 1 foot putts. 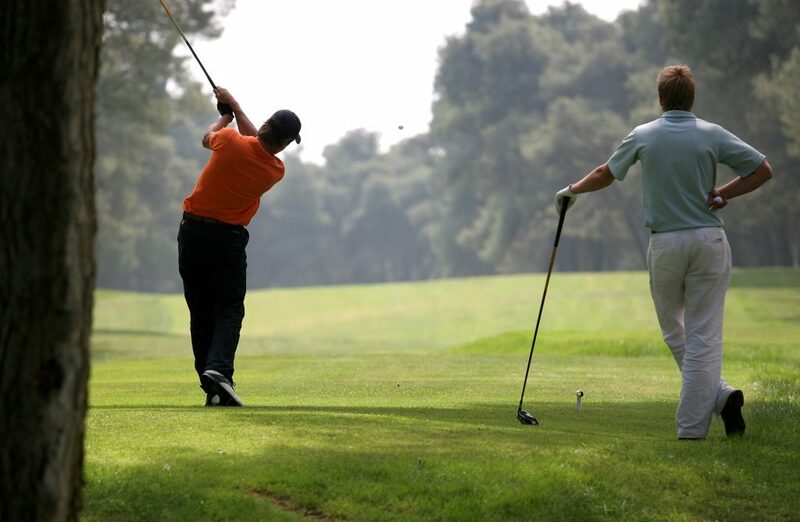 Don’t hit a tee shot without thinking about exactly where you want your shot to land. Dig in deep, every single game and you will become a much better golfer. When you are out on the course, be consciously aware of where your focus is. As you walk up to your ball on the fairway of the 5th hole, are you thinking about the putt you missed on the 3rd, or the difficult dogleg coming up on the 9th? If you mind wanders from the present moment, you won’t perform up to your full potential. Your thoughts need to be on the present moment and the shot you are about to make. 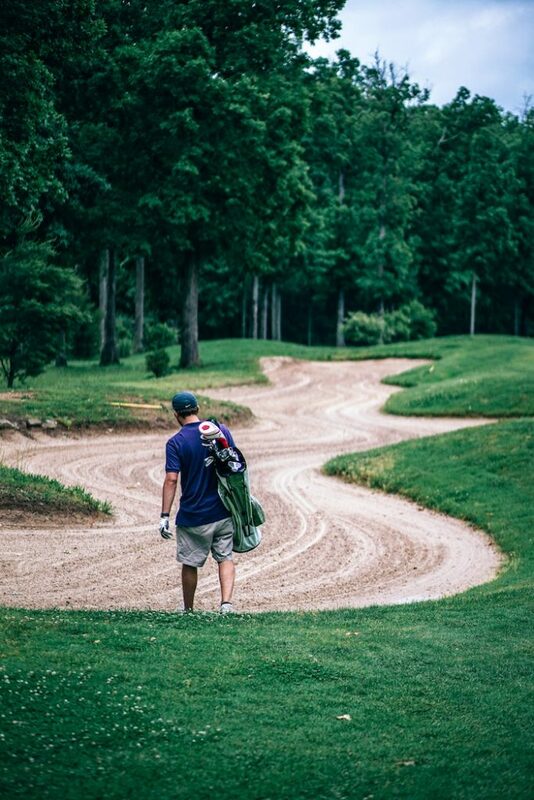 Everytime you find yourself thinking about what you might have for dinner, or when the drink cart might be coming back around, give yourself a mental, or physical shake, and remember your desire to be a better golfer in this moment. Many golfers start the day off mentally strong but after 10 holes or so, the small stabilizer muscles in their body start to become fatigued and weather elements such as rain or intense sun begin to wear down your mental fortitude. We suggest finding a central image, idea or mantra that you can focus on to bring yourself back to your optimal mental state. Some golfers are striving to achieve a certain “dream score”. That number can be your focal point. Take a permanent marker and write your dream score on all of your balls. Make that number, motivating image or mantra the wallpaper of your cell phone. Choose to carry your A game through all 18 holes, not just the first 9, and that dream score can become a reality quicker than you realized. What are the first words out of your mouth when you hit a bad shot? You probably can’t repeat those phrases around a younger audience if you are anything like the average golfer- but what does swearing, cursing or yelling really accomplish? Do you ever hit a better shot after saying something like, “Man! I couldn’t even buy a good shot today”? Our subconscious minds are extremely good at picking up data from the environment around us. If you and your golf partners are constantly talking about how bad you are playing…guess what? Your body will listen to your subconscious mind and continue to make that bad play a reality. This season, keep these 4 mental tools in your back pocket and watch your score drop lower and lower. These mindset adjustments are also extremely useful off the course! Whether you are in the office or at home, having control over your mental conditions will bring you much closer to a happy and productive state. 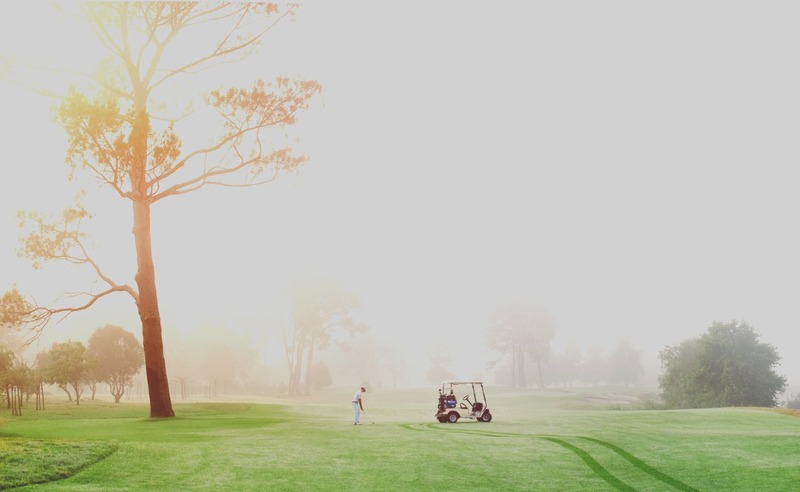 Itching to get on the course? Contact our course professional to talk about annual memberships and discover the benefits of our Players Club!